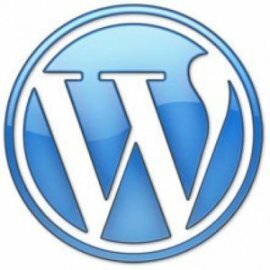 WordPress is an increasingly popular Content Management System (CMS) used for websites across the globe and we love it! It’s the perfect place for small businesses that want to grow, and great for small business owners who want to control and edit their own website. It’s very simple to set up and maintain a WordPress website, but we see the same sort of crimes against user experience and brand awareness every day. These mistakes harm the effectiveness of WordPress as a sales tool. We want this to stop. We want to rid the world of silly WordPress errors and improve user experience and ultimately sales on your website. WordPress started out as a blog platform and grew in popularity at a rapid rate. Because of the blogging background it’s very simple (and free) to get going on WordPress. But there are two types of WordPress websites. The first is the blog version which is hosted by WordPress and lives on WordPress.com. What this means is you have cheap hosting but WordPress own the website or blog that you have created. This isn’t ideal! The second type is the self-hosted website (or blog if you’re a huge blogger with their own domain) and this is known as a .org WordPress. This is hosted by you and you are responsible for the security updates, domain registration and everything that comes with being a website owner. The difference is not obvious to the untrained eye, but the capabilities and functionality are. To check which one you’re using, just go to the bottom of your website now. If you see WordPress branding or mentions of themes and the ability to follow your blog then this is a .com WordPress. The main reason that you DON’T want a website on a .com (hosted by WordPress) is that you’re very limited to what you can do to it. The power of WordPress is in the plugins and the enormous personalisation options that you have. Although you may have found a great theme on WordPress.com, you won’t be able to change everything about it and you’re restricted to the growth of it in the future. Also you have ‘Wordpress’ written at the bottom and the words ‘free website’. That doesn’t exactly scream quality or professionalism, does it? Hosting is not expensive and a good host will take care of everything for you, including moving the files (how WordPress is made up) on to their server. Let us know if you need help with this, and we can point you in the right direction. It’s really simple to add images to your website, which I highly recommend you do. Line them up correctly: You can align left or right and have your images amongst your text. If you do, it can look great – but make sure the bottom of your image lines up with the bottom of your text. It looks really unprofessional if you don’t. Play around with your image size (custom size is found under the three pre-set sizes) and get it looking good. Name your images: When you upload an image to a website you need to name it. Google can’t see; it can only read words, so naming your images is important if you want Google to understand what your page is about. WordPress works on posts and pages. It’s a simple concept but the ‘out of the box’ set up is often the wrong way around. Posts: Posts form part of your blog roll (I said BLOG!) and this will create a trail of posts (or blogs) that you can keep adding to. Pages: Pages are the static pages on your website. 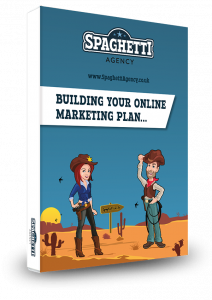 These will traditionally be your home page and your about, contact and other types of content. This is the content that stays in one place and doesn’t have extra layers added to it. You may find that when you start, your home page is your posts page. This is simple to fix. In most cases you need to head over to your theme’s Appearance>Customize and change the ‘Static front page’ to be one of your other pages and change the posts page to be your blog. This can sometimes get messy so be patient. You should create a home page first and then select it as the static home page. In WordPress lots of stuff gets done for you – but beware of the standard settings. I always see blog posts on WordPress with “/13476879/uncategorized/A random word” as the web address. If you care about being found online then you MUST fix this. Google looks at many parts of your website, but one of the key areas is your URL. 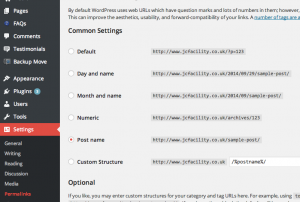 Set your WordPress theme to call your pages by the title not by the post number or category. Go to Settings>Permalinks and change to post name. #5. Comments on your home page? That’s just not right, is it?! As WordPress is a Blogging platform, its default features are very much at home on a blog. But when you move it into the website world, things like comments on pages look a bit odd. I often see that a website has the option to comment on the pages like the home or about us page. You don’t really want comments here. Turning them off is simple. Go to your dashboard and click ‘pages’ from the lefthand column. 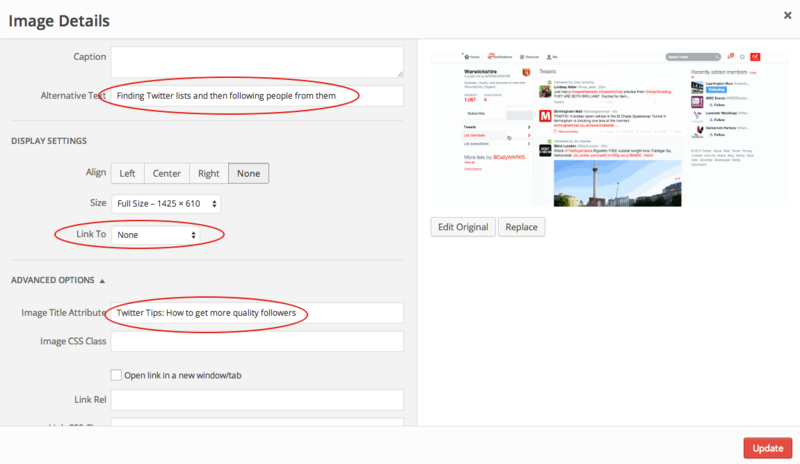 Then select ‘quick edit’ from the page that you want to turn off the comments on and un-tick ‘allow comments’. Don’t let cowboy website companies charge you heaps for doing this. WordPress struggles hugely with spam on comments and on the contact forms. Like everything with WordPress though, there’s a plugin for that! Askimet is by far the best anti-spam plugin and it’s free! Just add the plugin by going to plugins>add new and searching for Askimet. Install and activate the plugin and then add the special code to make it work against your spam problem. To add the code, just go to the plugin’s settings by going to plugins>installed plugins>Askimet>settings. Then follow the instructions to get your code from the website. Tip: Askimet will ask you for a ‘contribution’ to the Askimet key (special code). If you wish to give £0 I won’t stop you and neither will they. Slide the bar to zero and get your code. #7. Social media plugins – show your tweets not everyone else’s! Adding your social media updates to your website is a neat little idea and one we do use. 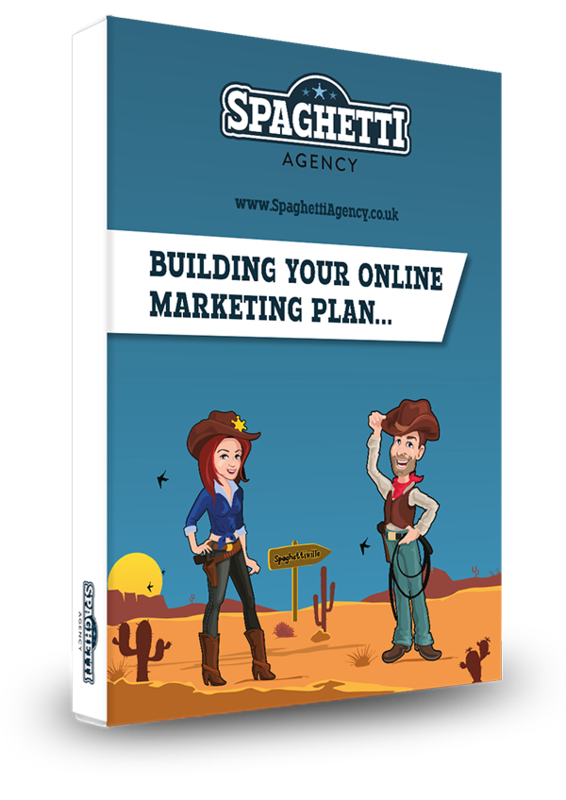 It can give your website a really social feel, showing you’re active and approachable as well as leading people to your social media channels. But… don’t let tweets to you appear on your website. I’ve seen websites that show tweets sent to the Twitter account associated with the website. When all is well, that’s fine. But what happens when a troll or a disgruntled customer rants at you on Twitter? Do you really want that on your website? When you grab the code from Twitter make sure that you check the box that says ‘exclude replies’. WordPress plugins are brilliant. The ability to add plugins that completely transform your site is simple and highly effective. But be careful. A slow WordPress site can often be down to having too many or just poor performing plugins. Only use plugins that have a high rating. If you add a new one and your site speed drops, then take it off and try a speed test again. Slow sites turn off visitors and they turn off Google too. Google rank sites based on load speed amongst another estimated 250 factors. Lastly, don’t update your blog as ‘admin’ or worse, leave admin as the default user name and password. WordPress can have many users and adding your real name as a WordPress user is good for your personal branding as well as making your site look more human. Also please be wary of having your login as ‘admin’ and the password as something easy to guess. WordPress sites are constantly being hacked and you need to be really careful about security. 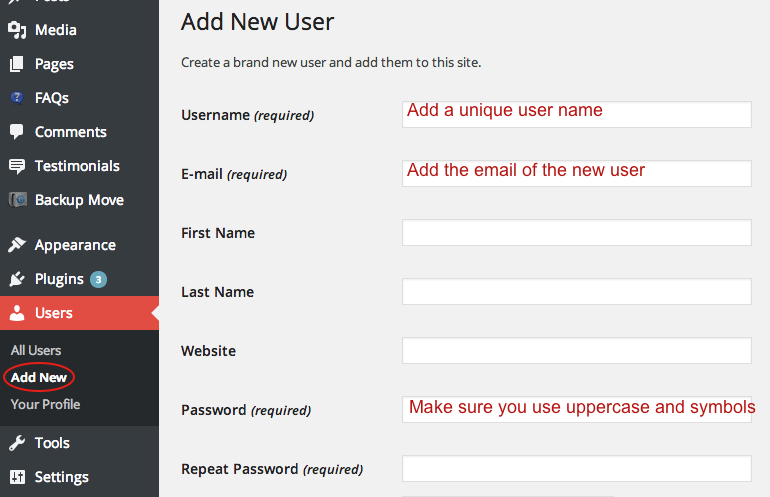 Update your password now if this is you, and then add a new user in the dashboard>users>new. This is also how you give access to new admins or contributors. DON’T give them your password and don’t make them administrator unless you completely trust them. And there you go. Our top nine WordPress mistakes – how many are you making? There are actually quite a few more common mistakes including poor category use, over use of colours in fonts, incorrect use of headings, using hi-res images, not using target =”_blank” and many more… but we’ll cover those another time. Getting your housework right is important and spending a little bit of time setting your site up and managing how it’s laid out is worth the time. When you consider that over 80% of your customers will check out your website before doing business with you, you’ll want to get it right! If you need help or advice just contact us now. We work on WordPress websites each and every day! What are your pet hates and fails for WordPress websites? We’d love to know in the comments below. It’s amazing how some of these easy hidden improvements can make such a difference. The key thing the host should think about is the user experience and accessibility. Linking conversation from Twitter is an interesting one, I often see an endless stream of one ‘back and forth’ conversation taking up the whole blog page, which can make me lose interest. I completely agree about the main thing being the user experience. Without that you have no website in my opinion. The Twitter linking is often done badly and I always see that mistake of showing replies as well as tweets. Thanks again. Good information. I will tell people about your activities. I know that Dave Walker is interested in a new site so you can discuss it with him when you are able. I’ll try and get to speak to Dave next time we meet up. Great article – useful tips and well laid out (I especially loved the dynamic screen shot under #3). Reckon my site has these all covered off (largely thanks to my web developer), but I’ll be looking out for your part 2 as I know I still have a lot to learn about WP! Thanks Geraldine, that’s good to hear. The ‘dynamic screen shot’ is actually a gif and I’m pleased you liked it as I think they’re rather useful! Cheers! Perhaps you should do a How to create a GIF blog post too? Great advice & would add that it’s important to change your site permalinks to post name – really important step that a lot of users who set up their own sites overlook. Well that was bloody marvellous. I am in the process of setting up my own website for my business. The best thing is that you made it really simple to follow, so much so that any old fool can do it… even me! Give me shout if you need any pointers.